There is a feeling that somehow a doctrine of ministerial accountability is in fact, somehow real, whist in reality it is a myth. Ministers resign over scandals involving rent-boys, expenses fraud and gaffes over racism and the like, but very rarely over policy failure, often ending with huge financial losses big enough to bankrupt large private companies. Both Labour and Tory in the last few decades have left a litany of failed projects costing hundreds of billions with absolutely no accountability whatsoever. From Britain’s disastrous adventure into the ‘ERM’, a Poll Tax that brought down Thatcher, the absolute failure of the Child Support Agency, the scandal and mis-selling of the SERPS pension scheme to countless failed technology projects from the benefits agencies to the NHS. Government has proven one thing with a high degree of consistency, it’s incompetence on the big projects knows no bounds. I have said for years that Britain’s really big areas of social expenditure should be taken out of the hands of politician’s. They are too corrupt and too incompetent to manage them. Education and health are two that spring immediately to mind. But now we have a really, really big issue that needs the most highly skilled individuals the country can muster. 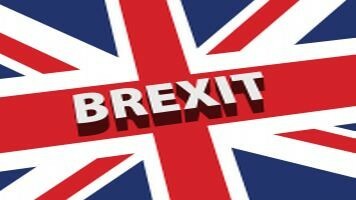 Brexit will affect all citizens not just for the decades ahead but for Britain’s future forever. Britain stands on the cusp of an historic opportunity. When the European Union fails, and it will, diplomats and ambassadors from all over the continent will be queuing at the doors of No10 for advice – if, and only if, our political leaders can get theirs heads around a successful Brexit plan. Alas, I fear, they are as clueless about what to do as their advisors, who are also clueless. Deloitte hastily then issued an apology. “This was a note intended primarily for internal audiences.” One has to say, that being the case, Deloitte have no confidence in Theresa May’s position that there is indeed a plan. The memo does not look like a document for ‘internal audiences’. The memo describes divisions between Philip Hammond, the chancellor, and Brexit advocates such as our new foreign secretary Boris Johnson as well as international trade secretary Liam Fox, according to a report in The Times newspaper. Clearly, this means that even if there was a plan, key managers of the plan have not bought in to it and can’t agree. It also means Deloitte do have an inside track on the matter, how else would they be able to comment with such authority. The Deloitte document makes reference to the fact that Theresa May’s personal management of the Brexit plan is ‘unsustainable’. Five months after the EU referendum, Brexit preparations appear to be “chaotic and dysfunctional” and Whitehall does not have the capacity to deliver it, according a leading think tank reported by SkyNews (note: Murdoch is very pro-Brexit). The Institute for Government report attacks Theresa May’s “secretive approach”, claiming it is hampering preparations and that “silence is not a strategy”. It warns that while the civil service has the technical skills to deliver Brexit, it simply does not have the capability to do so. Accusations of ‘dereliction of duty‘ emerge and we are even hearing that RBS Chairman is warning that banks may leave Britain if no agreed plan is forthcoming. One could have an opinion on whether seeing the banks leave would be a good thing but the point is that with no Brexit plan, business does not know what to plan for and therefore might plan for something else to ensure damage limitation to their profit models. In the meantime, Deloitte LLP got a record fine just last week for misconduct after the accounting regulator said the audit and financial statements they reported for a particular company fell short of acceptable standards and were subsequently fined (with their partners) £4million. The fine is the highest imposed by the FRC for misconduct. The government has a shameful record of failure when it comes to delivering anything remotely that of large scale projects. Brexit is huge and everyone should have every confidence they will make a mess of it.